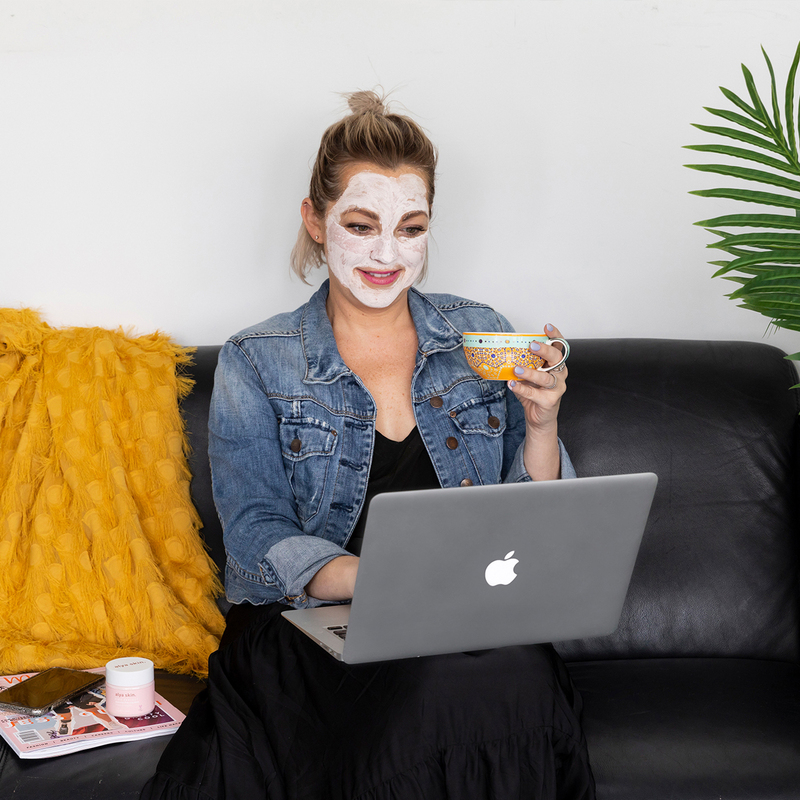 Home / Makeup / These cult beauty products are going viral but are they worth the hype? These cult beauty products are going viral but are they worth the hype? Beauty editors are pretty well versed when it comes to sniffing out a winning product – they’re the first to get their hands on new releases, have access to the most popular brands and a solution to every beauty dilemma at their fingertips – but still, they can’t resist a good beauty haul…especially when there’s cult products involved. Recently, the beautyheaven team headed to Life Pharmacy on a mission to discover the beauty world’s most coveted, so-hot-right-now products. Often hyped up products fall short of expectations and the results are less than satisfying so we were eager to put these ones to the test. The much-hyped exfoliating tonic has been on my beauty hit list for a long time. The glycolic acid removes dead skin cells and boosts cell renewal while also reducing pores. 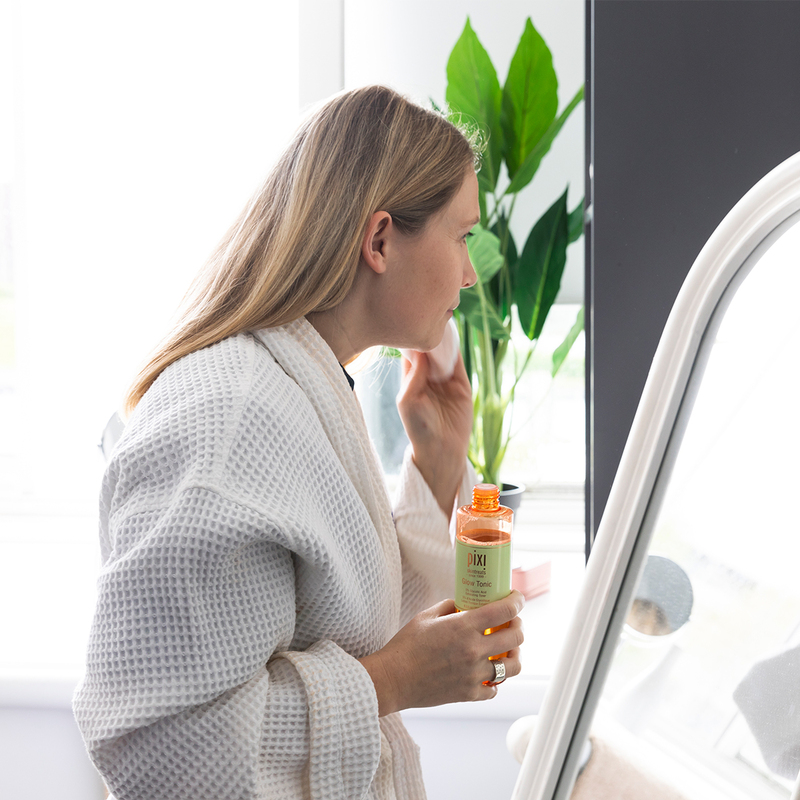 I’m generally sceptical of such claims but I noticed a difference straight away: my skin felt smoother and looked clearer (not quite a glow yet but it’s only been a week). I had a flaky dry spot that just would not go away although with just one swipe of the Glow Tonic it was gone. My skin can be pretty sensitive but Ginseng and Aloe Vera help soothe the skin. The instructions say morning and evening but I’m only using at night for now while my skin adjusts and then I can ramp it up later if needed. My husband’s been sneakily using it too - another new Pixi devotee! At the risk of sounding braggy (which this totally does), I was one of the first people in the world to get my hands on the relaunched range of Benefit brow products back in 2016, and since then, Gimme Brow+ has been a staple in my makeup bag so I was super excited to see it’s now available at Life Pharmacy. 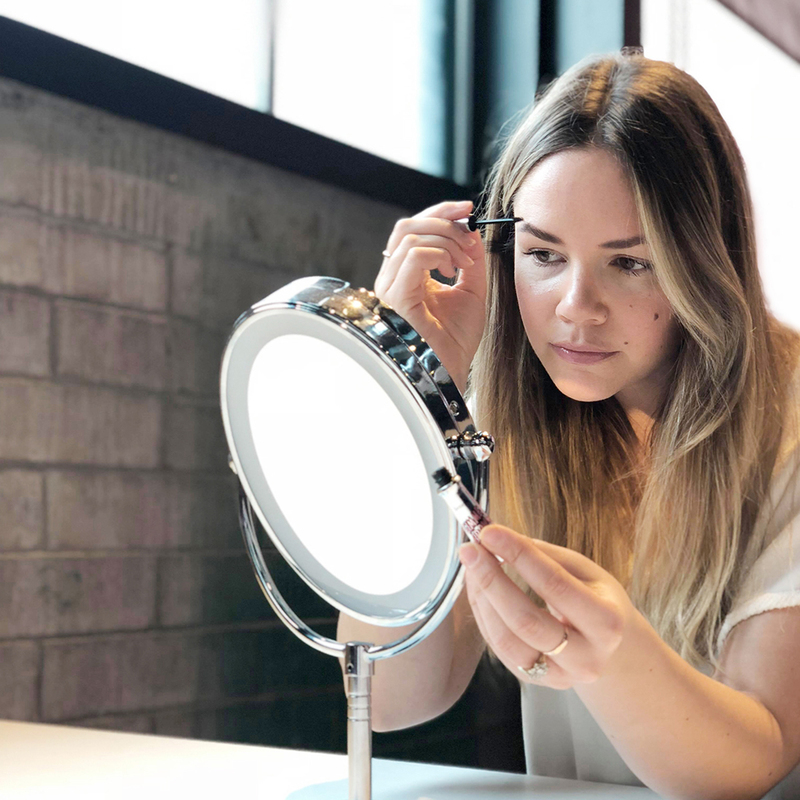 While not exactly new (this wonder product has been around for a number of years), it recently relaunched as Gimme Brow+ with a shade extension. Its ability to make your brows look thicker, fuller and far more groomed than they naturally are is unsurpassed. During the week, I use this as the cherry on top after defining my brows with a brow pencil (Benefit Precisely, My Brow Pencil is one of my faves), but on the weekend, this 'brow mascara' simply adds a little something extra to my natural brows for an effortlessly done look. The little note that sits inside the packaging of Alya says “feet up, mask on, chill.” So that is exactly what I did. I have been a fan of masks for a while now, but hadn’t tried this pretty pink one from Alya. I’d seen it all over social media so was super excited to give the viral sensation a whirl. Created using pink clay from Australia, this mask not only smells divine, but it made my skin feel beautiful afterwards. Following the clear and simple instructions, I popped over my whole face – it spread really easily and can I mention again the scent – it is so beautiful. It said to leave on for 10 minutes, but I like to stretch masks out to 15 to really soak up the goodness (and I got distracted binge watching Marcella on Netflix *guilty*). Once I dragged myself off the couch, I removed the mask with my ever-faithful microfiber towel and popped on my evening skin care. This will definitely be staying put in my beauty cabinet for #MaskMondays. Hello Happy vows to even out skin tone and blur imperfections…and that it did. I’d been dying to get my hands on it for ages to see if it lived up to its promise. I’m sold - It’s basically an Insta-filter in a bottle. During the week, I always wear a heavy-duty base for work but when it comes to the weekend I opt for a slightly lighter texture. Hello Happy is now my new go-to weekend foundation. It gives a sheer to medium coverage but it’s also buildable. Featuring optical blurring spheres for that soft-focus look, I found it really evened out my skin tone and concealed what was needed – it’s like a second skin! My recommendation: a little goes a long way and when applied with a slightly damp blending sponge it gives a super-flawless finish. All in all, I found it lived up to its big claims. Not to mention the needle-nose tip — a blessing for both the mess-prone and germ-phobic. Happy by name, happy by nature – literally! 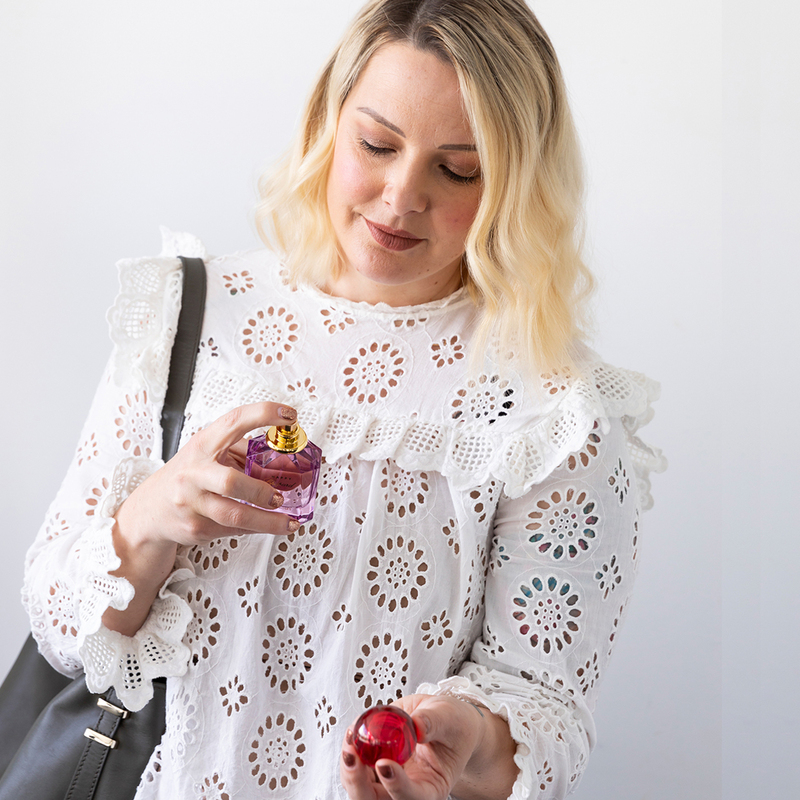 The pretty coloured glass bottles of Chopard’s new Happy fragrances - Lemon Dulci and Felicia Roses - are enough to make you smile, but there’s another reason these gems have been generating hype. Each has been created with the highest quality natural ingredients and essential oils proven to give you uplifting and happy vibes. I can attest to that! Felicia Roses transported me to a bright and sunny garden full of red berries and roses, while Lemon Dulci is a similar nature walk, with a fresh and juicy mix of citrus fruits, apple, ginger and spices. Highly recommend giving yourself the best possible start to your day with a spritz of one of these upbeat scents! Happy Chopard is available exclusively with Life Pharmacy until November. These products are all available under one roof at Life Pharmacy stores and online. Plus, for the month of October they’re running a special promotion: Spend $75 instore and receive a gorgeous tote bag for $15. Shop online now. Range may vary by store. Have you tried any of these cult products - what did you think?